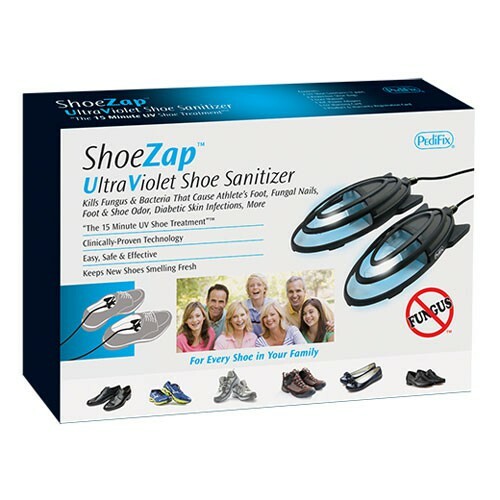 UltraViolet Shoe Sanitizer - SHIPS FREE! 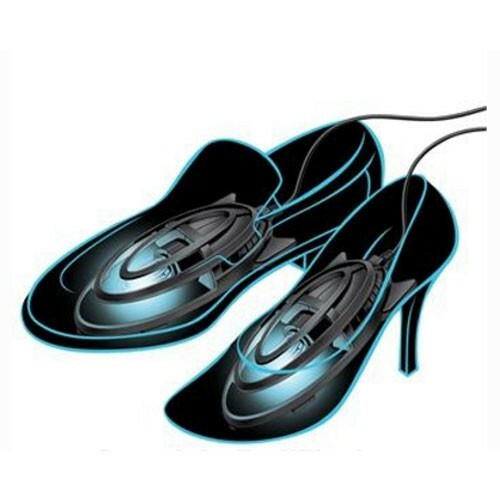 ShoeZap is an ultraviolet shoe sanitizer that kills germs, bacteria and fungus. Just insert the ShoeZap UltraViolet Shoe Sanitizer into a pair of shoes, cover the shoes in the protective shoe bags, turn on the ultraviolet light and then in 15 minutes your shoes are sanitized. It’s that simple! Manufactured by Pedifix, this shoe sanitizer protects you from Athlete’s Foot, shoe odor, diabetic infections and fungus infections. This 15-minute sanitizer treatment uses clinically-proven technology. The ShoeZap is a one-size-fits-all hygienic device that fits children and adult shoe sizes. This disinfectant microscopically cleanses all footwear styles and sizes. 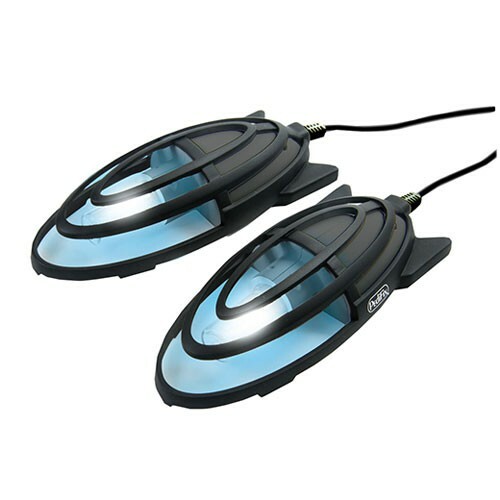 UVC germicidal light kills fungus and bacteria. Reduces the risk of Athlete’s Foot, toenail fungus (onychomychosis), skin infections and more. Prevents foot and shoe odor. Protects against diabetic infections and toenail fungus. More effective than sprays and powders that may leave a toxic residue. Hygienic and odor free sanitizing. UV LIGHT HAZARD. DO NOT LOOK DIRECTLY AT UV LIGHT OR EXPOSE TO SKIN WHILE PRODUCT IS IN OPERATION. Before use: Always insert Sanitizers into shoes, then shoes into safety bags. Do not remove shoes from shoe bags or Sanitizers from shoes while the device is on. Caution: Bulbs are HOT during and after use - DO NOT TOUCH. Keep out of reach of children.